Listen to this excerpt and get the full-length audiobook of Getting Things Done. 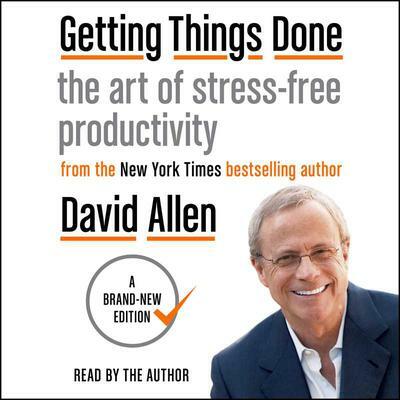 David Allen is widely recognized as the world’s leading expert on personal and organizational productivity. His thirty-year pioneering research and coaching to corporate managers and CEOs of some of America’s most prestigious corporations and institutions has earned him Forbes’ recognition as one of the top five executive coaches in the U.S. and Business 2.0 magazine's inclusion in their 2006 list of the "50 Who Matter Now." Time Magazine called his flagship book, Getting Things Done the definitive business self-help book of the decade.” Fast Company Magazine called David “one of the world’s most influential thinkers” in the arena of personal productivity, for his outstanding programs and writing on time and stress management, the power of aligned focus and vision, and his groundbreaking methodologies in management and executive peak performance.